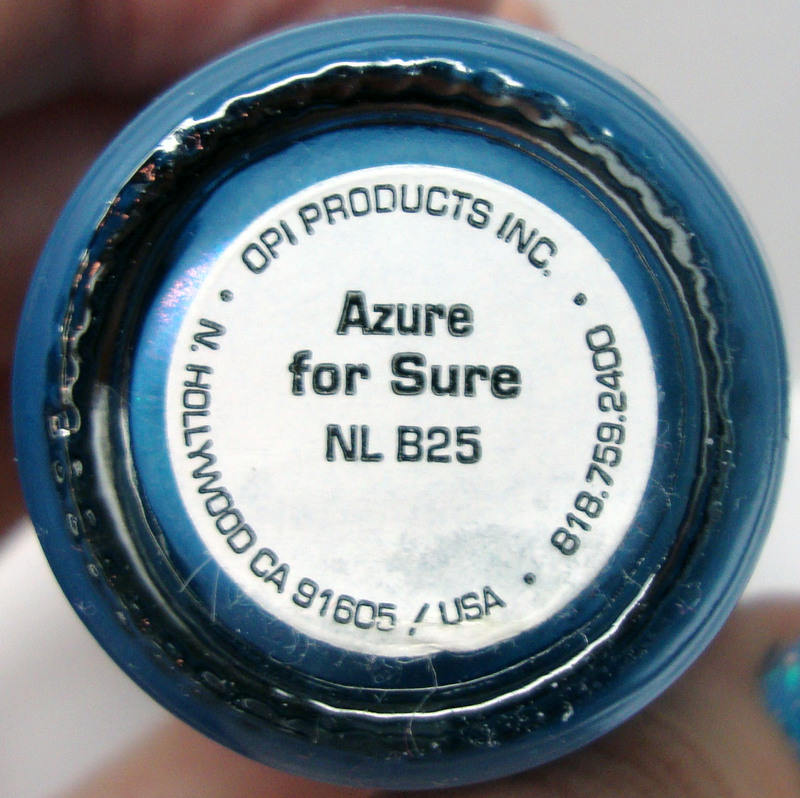 Azure for Sure is an aqua blue with turquoise shimmer undertones. I originally picked it up in the summer of 2005 or 2006. It was originally from the OPI Brights Collection that has since been discontinued. It still has the original OPI black label instead of the usual dark green. Why did OPI change label colors you may ask, well in 2006, OPI changed formula to longer contain DBP (dibutyl phthalate) and formaldehyde. After changing to a “Three Free” brand they differentiated by changing the labels to green. After finding out about the dangers of DBP and other possible dangerous chemicals I am hesitant to wear older formulas on a regular basis, but occasional use shouldn’t be a health issue. This polish is one of the reasons I love OPI. First I have had this polish for about 6 years now and the formula applies just as well as any new OPI shimmer polish. It has great coverage for a shimmer in two coats, in the close up you can see a hint of visible nail line but in person it is not noticeable. It wears well, I went four days with minimal tip wear and only one chipped nail. 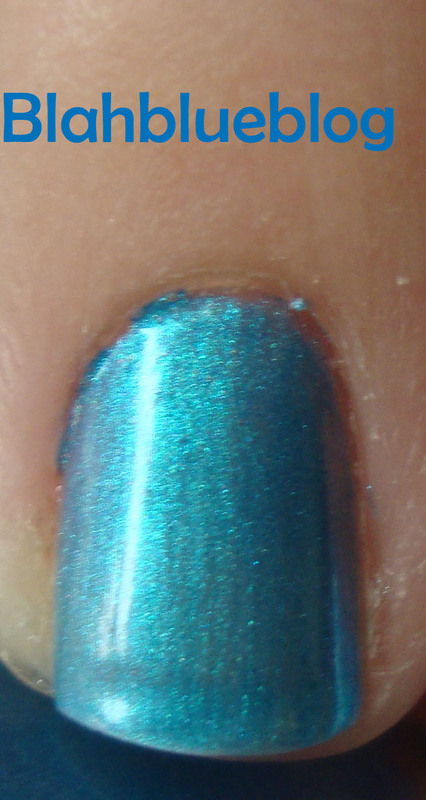 You can still find this polish online for reasonable prices, but I would be weary due to the older formula.